We are researchers in the Psychology Department at the University of Waterloo. The Infant & Child Studies Group is made up of two labs - the Lab for Infant Development and Language (LIDL), and the Developmental Learning Lab (DLL). Together, we want to discover how our children learn! At the LIDL, we are particularly interested in what infants know about language. How do they process speech? When do they learn what words sound like? And what words mean? 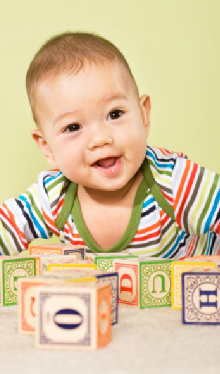 At the DLL, we focus on cognitive development. What do young children know about concepts and events in the world around them? How do they make and test hypotheses about their environment? Being a part of research is exciting! Please contact us if you would like to receive more information, or if you would like to become involved.